Do not forget that the Room of the Month for September is our beautiful Diplomat Suite! Enjoy $100 off the Diplomat Suite when you book the room for a mid-week getaway! This historic suite dates from the 1790’s and features the original fireplace, an ornate French king bed, a separate sitting room, oval whirlpool tub with separate shower. This room will go fast, so make sure that you book as soon as possible! We would love to have you stay with us as the Baltimore weather begins to cool down in September. As summer fades into fall, there is a lot going on in downtown Baltimore. 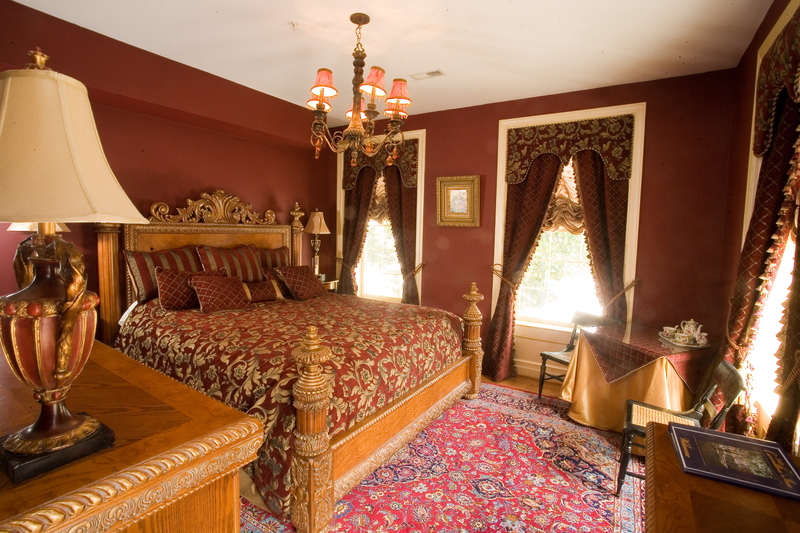 The 1840s Carrollton Inn is the perfect place to stay during your exploration of the city. September brings more mild Baltimore weather and it is perfect for walking around the town! Be sure to book with us so that we may be your hosts during your visit. The Diplomat Suite is one of the Inn’s historic suites situated on the corner of Albemarle and Lombard Streets. Gold damask patterned fabric on walls and matching fabric valances and draperies highlight windows overlooking the city. The master bedroom features ornate French Bonaparte furnishings including a king-sized bed. The sitting room boasts a period wood mantel and original fireplace. The beige & Morrocan brown marble bathroom boasts an oval whirlpool tub and separate shower. The name of each of the Carrollton Inn’s thirteen rooms and suites was inspired by a facet of the life of Charles Carroll of Carrollton, the original owner of the neighboring Carroll Mansion. In 1776, Charles Carroll of Carrollton participated in a diplomatic mission to Canada, along with Benjamin Franklin, Bishop John Carroll and Samuel Chase to obtain support for the American cause. This special rate is available for Sunday – Thursday stays only in September of 2013! For more information, click here!